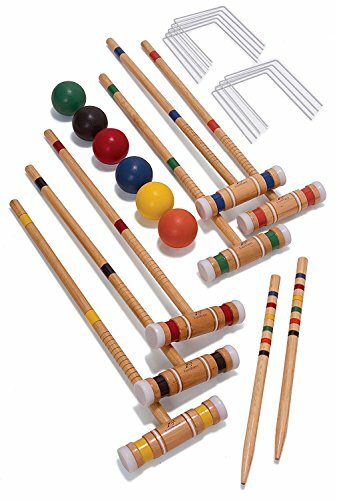 If you're looking for the next addition to your backyard fun and entertainment, look no further than the Eastpoint Sports 6-Player Croquet Set! This set includes six 26-inch, strong mallet handles for a more natural playing posture and enhancing ball control. Bigger mallet heads and larger balls improve strike area for more durable and competitive play. The heavy-duty metal wickets are built to withstand bending. The best feature of this set is the organized, space-saving caddy, complete with all-terrain wheels. Never worry about disassembling mallets or searching for lost balls again. This set is a must have for your next backyard BBQ! If you have any questions about this product by EastPoint, contact us by completing and submitting the form below. If you are looking for a specif part number, please include it with your message.